BRIGHT Fleeces - Color Champions! Quantum Boogaloo - Color Champ! 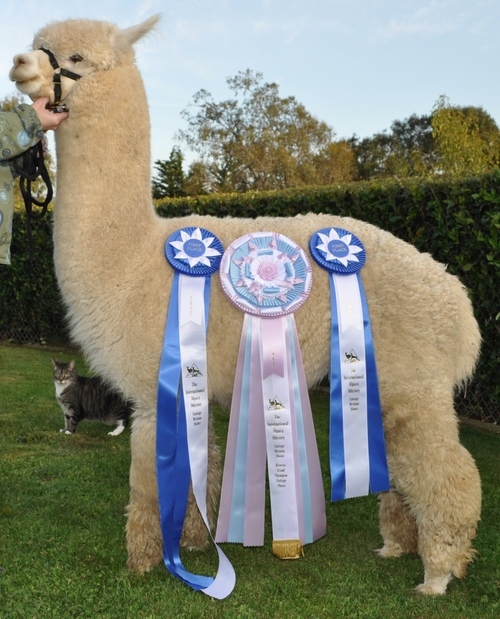 ROCKSTAR Alpacas was established in 2007 with the goal of creating and sustaining a top quality breeding program offering outstanding breeding stock with elite fiber. 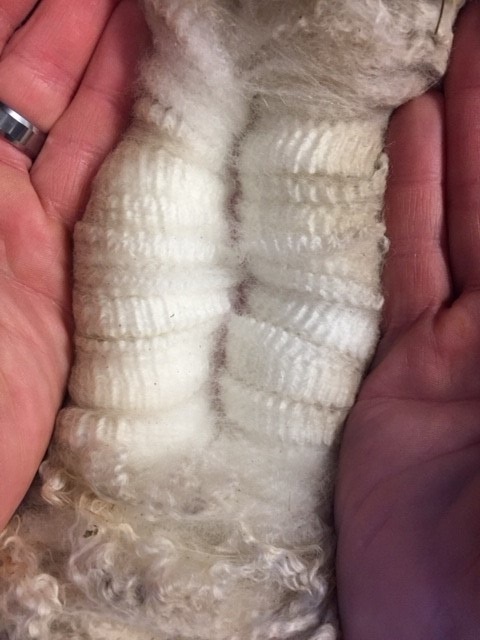 Our priority each breeding season is to carefully choose and breed for desired fleece traits that will consistently improve each generation of fleece in our herd. Specific emphasis is made on breeding for uniformity of micron, fineness, and the density needed to sustain the commercial textile market for alpaca. We've spent years researching and carefully selecting top quality breeding genetics to help achieve this goal and believe we’ve laid a great foundation for the ROCKSTAR's of the future. Additionally, we focus on the overall health and temperament of the animals as we consider it essential to reducing stress and improving wellness within the herd. 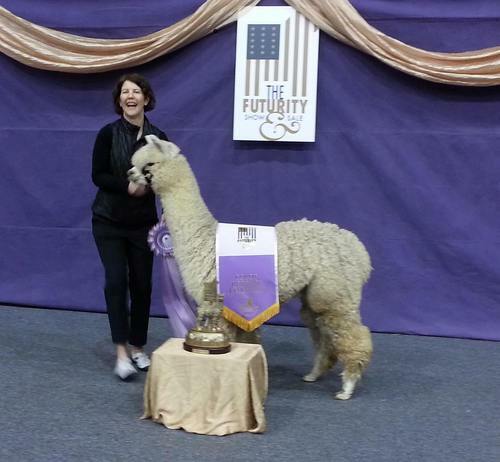 Happy alpacas make happy owners which we like to promote! 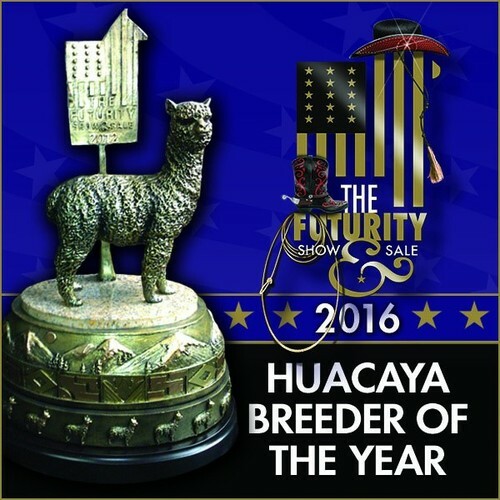 In the spring of 2016 we were both honored and humbled by being selected the Futurity Huacaya Small Breeder of the Year. Many years of hard work and breeding decisions carried us to that moment and we are grateful to stand alongside some of the best breeding farms in the country. We continue to this day to strive for excellence in our breeding program and are committed to continuing to produce outstanding alpacas with the fleece attributes desired and expected by our customers. We invite you to give us a call or stop by for a visit and see our herd. We're proud of what we've accomplished in putting together a herd of superior quality. Whether you're looking to start a business with alpacas, add genetics to your existing herd, looking for fiber animals or pets, we offer it all and love to help and support our customers. Customer focus is something we believe to be crucial to your success along with our own. We're excited about this rewarding lifestyle and unique business. We welcome the opportunity to provide you with information, answer questions, and help you get started on your own alpaca adventure. Please give us a call today! We offer financing at zero interest with a 50% down payment for 1 year. Don't wait - this is a great opportunity to purchase the quality alpacas you need in your herd! Free agistment for up to 90 days with the purchase of any of our alpacas. Please check out our Spring Fling SALE! We're making room for our future ROCKSTAR's. Any listed alpaca can be purchased at 20% discount of the posted price, and the discount grows for multiple purchases! Breeding discounts available as well. Call us today - we've got some beauties offered to help enhance your breeding program! !